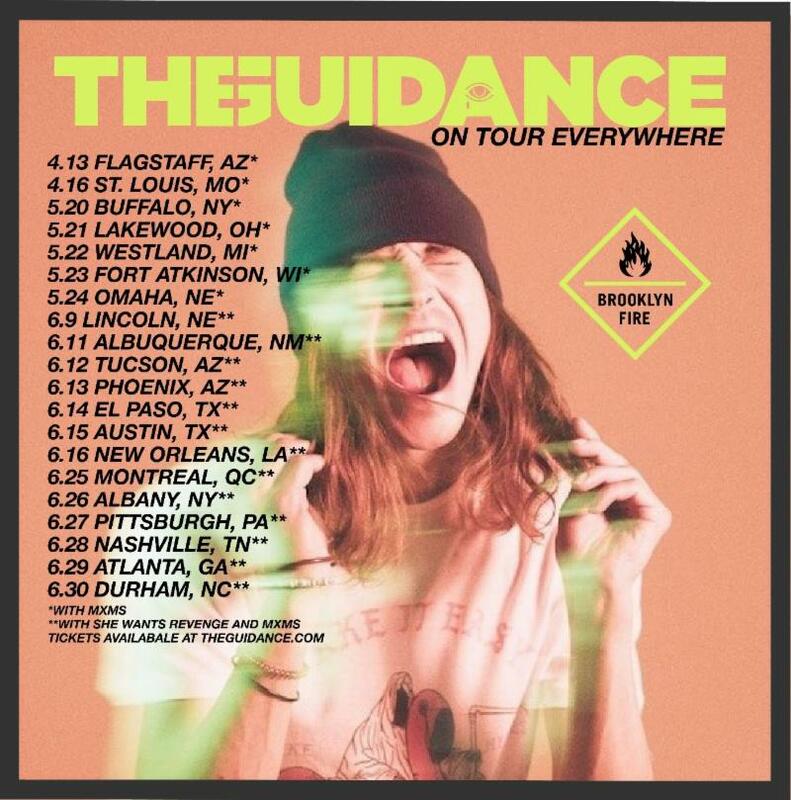 Los Angeles-based underground dance artist THE GUIDANCE is setting out on tour this spring in support of his newest single “She Likes The Dance Music,” out now on Tommie Sunshine‘s Brooklyn Fire Recordings. The tour kicks off this Saturday, April 13 in Flagstaff, AZ, and new music lovers can experience THE GUIDANCE through late June supporting She Wants Revenge and MXMS. The full routing follows below. “She Likes The Dance Music”–which references many cutting-edge new artists as well as legends of the electronic genre like Utah Saints and Quadrophonia–is a welcome addition to Brooklyn Fire’s catalogue which has been buzzing on the ‘rave revival’ front. Upon its release in March, the song garnered support via playlists such as Spotify’s Friday Cratediggers and Metropolis, as well as Apple’s Breaking Dance charts. Around that time, THE GUIDANCE made his presence felt during Miami Music Week where he headlined the Brooklyn Fire Records showcase, as well as made a surprise appearance during Tommie Sunshine’s Ultra Music Festival main stage performance and during Big Beat’s South Beach soiree. It’s been quite a while since someone really punched a hole in the live performance of underground dance. Whether you call it a stroke of genius or a glimpse at insanity every witness to THE GUIDANCE “live” agrees this is something that hasn’t been seen in a long time. Born in Chicago and currently residing in Los Angeles, Stefan Pruett adopted the moniker “THE GUIDANCE” in 2015 as a means of healing. Born with a congenital heart condition coupled with a sudden loss of his younger brother at 20 years old, Stefan stalked his way into manifesting a reason to deny death. With a pacemaker acting as a reminding click track of life vs the afterlife, THE GUIDANCE has only waves to make. THE GUIDANCE brings to the table a wide range of electronic genres and decades into a mashup of raw analog synths, playful storytelling and rich melodic dance music. Very quickly by 2016 THE GUIDANCE toured the world as direct support to Crystal Castles on their final run before heading to the studio with producer Jeremy Dawson (Shiny Toy Guns/MXMS) in Los Angeles to hone in the sound of the new record. The first single “Next Time” was released in late 2018, to a flurry of playlists and blog reviews. In early 2019, THE GUIDANCE signed on with Tommie Sunshine’s Brooklyn Fire label. His latest single “She Likes The Dance Music” is out now. This entry was posted in Press Releases, THE GUIDANCE. Bookmark the permalink.